We are not our pain or our disease, nor are we defined by our limitations, restrictions, or the labels given to us. We are a whole body, a consciousness, and a spiritual being. As a holistic, interconnected being, our emotions, beliefs, physical pain, past traumas, and even imbalances created through spiritual issues are held within our physical form. By accessing them through the physical body with the body deva--the spiritual consciousness of our human body--we can heal the continuum of mind, body, and spirit. Understanding this is the true key to healing. 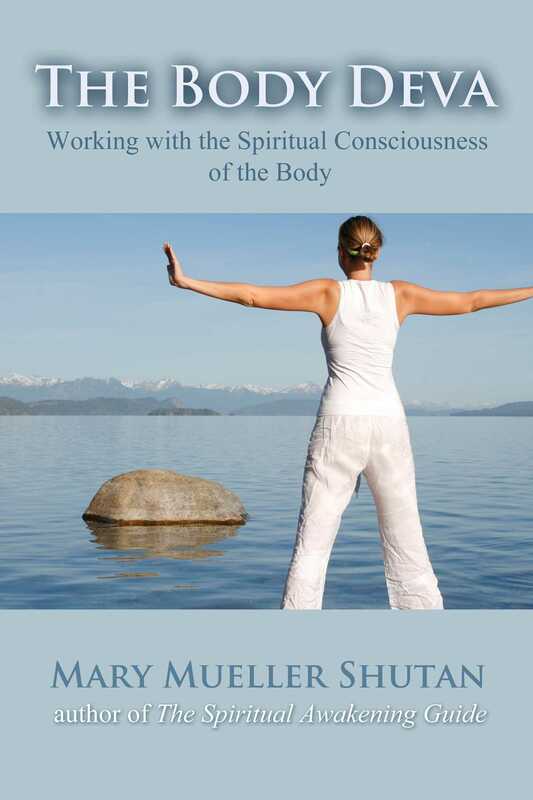 In this step-by-step guide to understanding and working with the body deva, the consciousness of your body, Mary Mueller Shutan explains how our bodies hold the traumatic energies, emotions, physical issues, and restricting beliefs that cause us pain and feelings of disconnection. She details how to make contact and dialogue with your body deva to heal a variety of issues, from physical pains to ancestral and past life patterns to limiting ideas about what we can accomplish in this world. By working with the body deva, she shows how we can discover the reasons why our pain, beliefs, or imbalances developed and resolve them to heal mind, body, and spirit, every layer of our being. She explores how to work with the archetypes, labels, limiting beliefs, and myths that underlie our unique history and reasons for being. Shutan also examines how to work with the body deva to heal spiritual patterns through the physical body, including techniques of ancestral healing, past life healing, and karmic resolution. By learning to dialogue with the body deva, you can understand who you are on the deepest levels. You can learn why your pain and imbalances came to be and what lies unhealed within you. You can evolve beyond the limitations and restrictions in your body and your life and evolve into greater health, connection, joy, and consciousness. Just as we may have made written or oral agreements with our work, landlords, or others, we are continually energetically engaged in the creation of agreements with ourselves and others. The difference with an energetic contract is that they are primarily subconscious– we are not fully conscious when taking on a contract that we are shifting our beliefs and perceptions as well as our identity and outer reality. It is likely by this point you have thought about a contract that you may have. If you do not have a specific contract that you would like to work on, you can also ask your body deva to show you where in your body a contract may be held. • Ask the consciousness of your body: what belief or understanding about myself, the world, or about people (men or women) is held here? - If there is lack of clarity, you may simply need to do a few sessions with this body part (you can return another day) to find out what is going on. Often we need to “digest” information when it becomes conscious, and so whatever we can become conscious of concerning a contract, even if it seems vague, is a wonderful starting point. • You will ask the consciousness of this body part to tell you about the circumstances of what happened. - How old was I? - If this were a scene on a television, what would be going on in that scene? • What is the contract here? - We are asking again for purposes of clarity, and to get as close to the wording of the contract that we created as possible. - Remember that a contract is often a belief that you have on some level agreed to and taken on. This can be taken on directly or in reaction. - Remember, when you ask your body slowly (pausing between each choice) there will be an indicator (typically a sense of knowing or a change in energy in the area of the body you are exploring) that will indicate which choice (past life or family/ancestral) is correct. - Occasionally there are multiple contracts. If this is the case, you will ask if any are from your timeline, or your experiences here, and work on those first. - If it is from beyond your own experiences here you still want to get a sense of what was happening, the beliefs created, and the agreement that was formed. The work in further chapters will more helpfully guide you to and through this process. • Once you know what the contract is, and largely what age, you will consider if you need the contract. Do you need it fully, partially, or not at all? - Ask the consciousness of your body for guidance about this. We would all like to release anything that restricts us, but we may not be fully ready to. - Respecting the body and offering compassion will allow for contracts to change more readily than forcing things to leave. • If you do not want the contract at all, you will visualize yourself at the appropriate age to the best of your abilities and let her know that you understand why the contract was formed, but that she no longer needs it any more. Mary Mueller Shutan is a spiritual healer and teacher with an extensive background in Chinese Medicine, CranioSacral therapy, Zero Balancing, and energy work. She is the author of The Spiritual Awakening Guide, The Complete Cord Course, The Body Deva, and Managing Psychic Abilities. Mary lives near Chicago, Illinois.